The English language has a lot of idioms to express improbability. They're meant to be impossible, not improbable. If the sun rises in the west, then the earth is spinning dangerously off its axis. In other words, we're all long gone. "When elephants trudge through the snow" seems like it could be another improbability idiom. Perhaps it is, in some corners of the world. But this weekend, hell froze over. Or, more accurately, the southern cape. 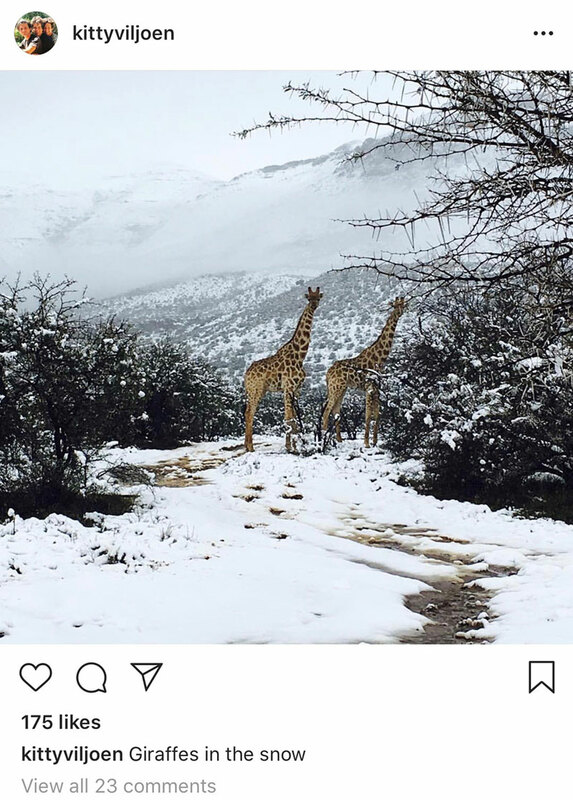 Instagram user Kitty Viljoen captured elephants and giraffes in the snow. A herd of elephants finding it more difficult to blend into the bush when the bush is suddenly white. And we've certainly seen elephants in the snow before -- it has been the subject of many a viral video. But those were captive elephants often kept in zoos in areas of the world they are far from native to. 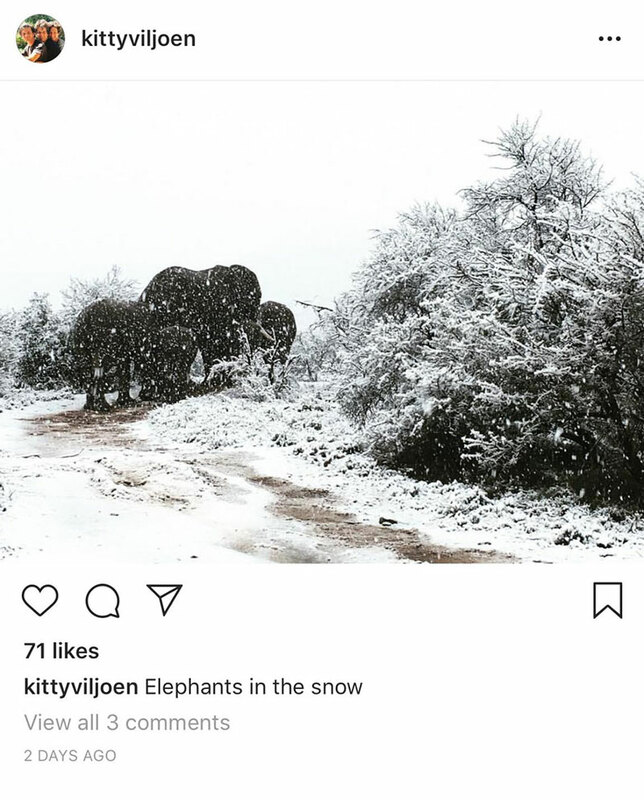 In fact, it's been a subject of contentious debate whether elephants have any business being in areas where it snows -- with some conservationists even blaming premature deaths on freezing temperatures. Just another way that humans are impacting elephant habitat in devastating ways.